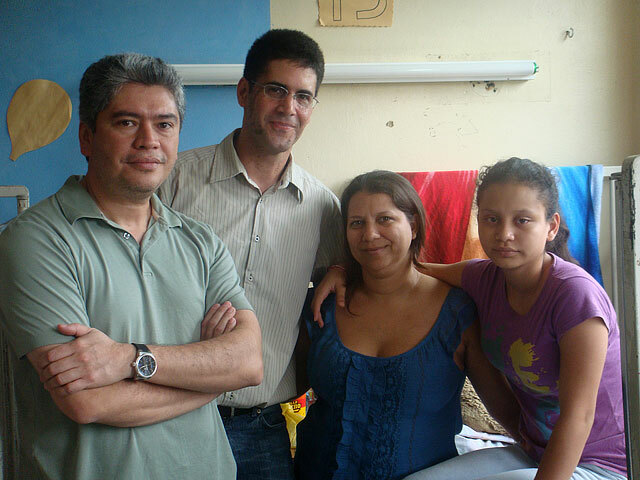 (L-R)Dr. Hugo Orellana, Dr. Federico Milla, Paola's mother, Paola. In March of 2010, with the support of the Mitral Foundation, Dr. Federico Milla traveled to Hospital Escuela, located in Tegucigalpa, Honduras, to bring supplies and assist Dr. Hugo Orellana with the surgical repair of a congenital heart defect in 12 year old Paola’s heart. 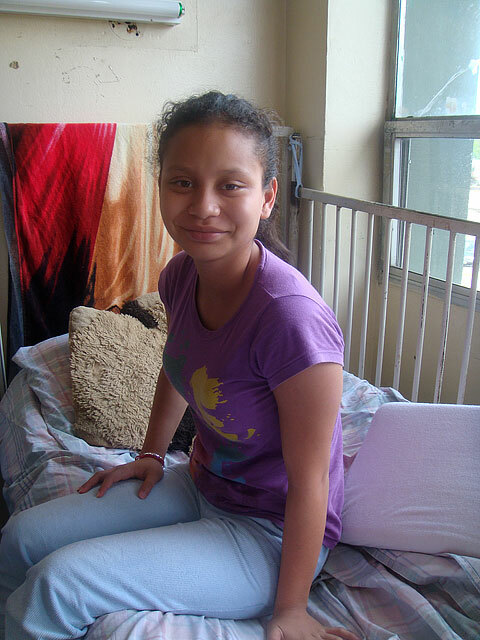 Paola’s procedure was a success and she made a speedy recovery, leaving the hospital days after surgery. View our photo gallery from our mission in Tegucigalpa, Honduras. Paola lives with her parents and two other siblings in the village Jesus de Otoro, situated between San Pedro Sula and Tegucigalpa, the capital of Honduras. During a recent medical examination, a heart murmur was heard in Paola’s chest and she was found to have a congenital defect in her heart. Her parents sought the aid of cardiac surgeon, Dr. Orellana, who is limited by the equipment and facilities available to him. Especially necessary are the supplies needed to run the heart-lung machine, which are crucial to performing surgery inside of the heart. These supplies are not re-usable, and the costs were beyond Paola’s parent’s financial means. "One of the goals of the Mitral Foundation is to take advantage of existing relationships around the world to provide individual medical care in an economical fashion when a full team mission is not possible," said Dr. David H. Adams. Upon learning of Paola's needs from Mount Sinai pulmonologist Dr. Maria Padilla, who along with Dr. Milla, was born in Honduras, Dr. Adams arranged for Dr. Milla to travel to Honduras, while Dr. Ricardo Lazala arranged for the donation of supplies from Brian Scanlon and the Sorin Group.